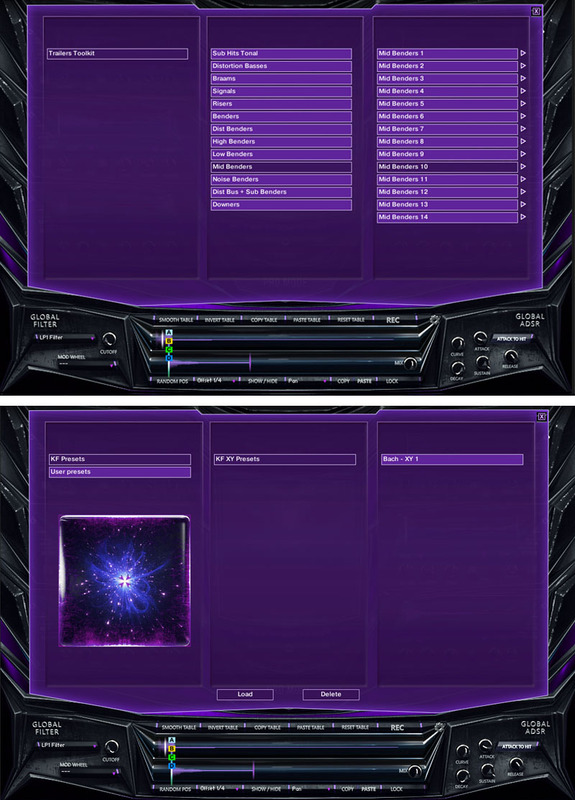 Unlike the AizerX Trailer SFX Designer Toolkit, which is mainly designed for hybrid movies or game trailers, AizerX Modern Designer Toolkit delivers a collection of stylish, ultra-modern custom sound effects for the latest modern music genres based on a current, thorough music market trend research. With the participation of professional musicians, sound designers, and sound engineers, we recorded strings, percussions, guitars, basses and many other instruments. We literally played and experimented in the world of sounds, creating the library’s uniqueness and signature. AizerX Modern Designer Toolkit is the second new product of Keepforest that is based on the new original, innovative, progressive AizerX engine with morphing-crossfade X-Y pad and unlimited sounds randomization-possibilities, developed by Keepforest’s team of professional sound designers and composers with a massive experience in sound design and production. The main feature of AizerX Modern Designer Toolkit is the smart samples randomization for creating absolutely unique and authentic sound effects with just one click. The massive AizerX library contains fully customizable modern sound effects of the highest quality in different categories like modern trailer hits, whooshes, benders, slo-mo, distortion basses, signals, downers, risers, noises, booms, etc. 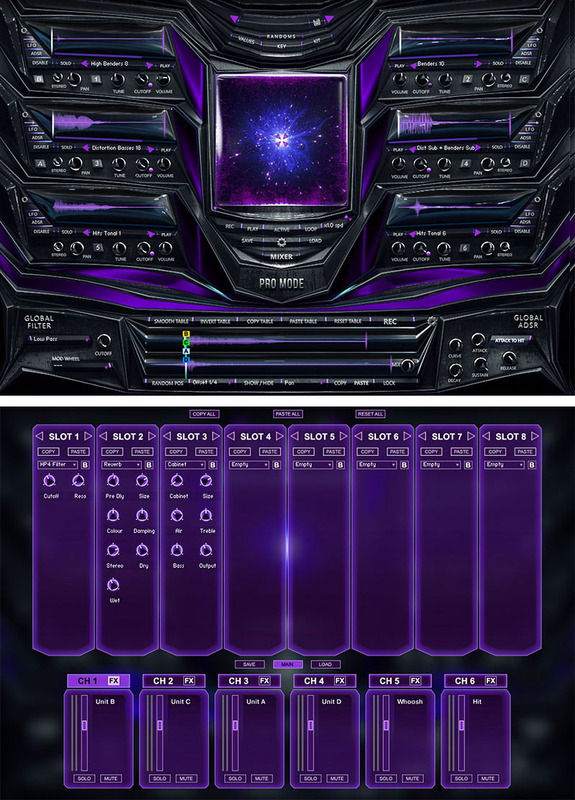 AizerX Modern Designer Toolkit also offers a profound sound customization with a lot of easy-to-use parameters such as frequency filters, LFO, ADSR, sample playback modes, channels mixer, loaded with all kinds of effects like EQ, reverb, delay, distortion etc., and a breathtaking XY pad feature. 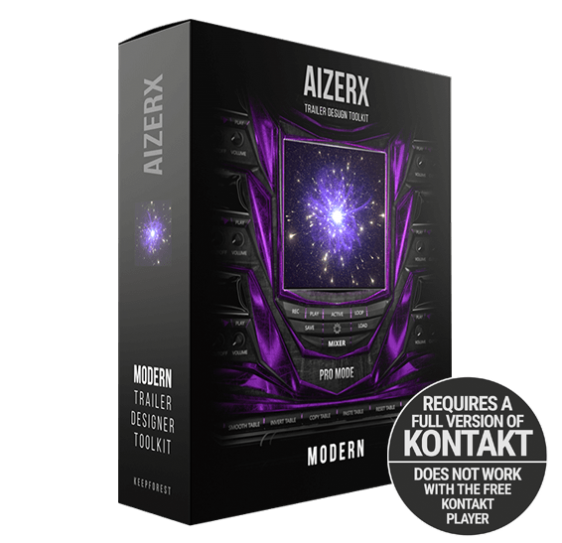 AizerX Modern Designer Toolkit is the best tool for composers for creating impressive, Pro-level sound effects without having much experience in sound design.